Thanksgiving is one of my favorite holidays because it’s about family and cooking. Unfortunately, it’s also about a large meal that can easily lead to over-full bellies and extra calories. However, with a little preparation you don’t have to feel as stuffed as that turkey. Holiday eating is as much about mental preparation as it is food preparation. Before the holiday starts, shift your intention for the day. Decide that Thursday is about those with whom you choose to spend your time and the activities you enjoy together. A small shift in thinking can create a more mindful experience that focuses on the joy, not the food. Before you sit down at the table, decide which foods are the most important. Select one or two items that feel like Thanksgiving and enjoy them without guilt. 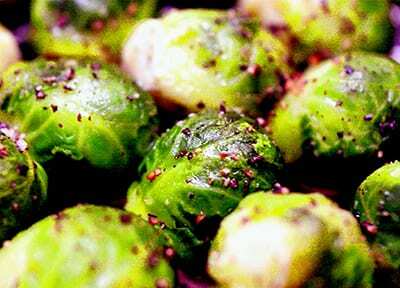 Find healthy recipes to replace the rest – like roasted Brussels sprouts (see the recipe below) in place of that heavy green bean casserole. 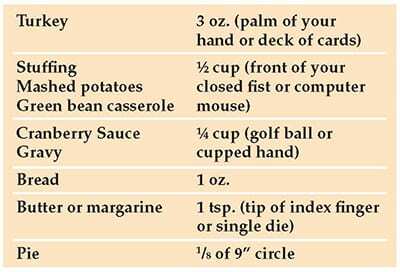 Once you select your favorite, can’t-live-without items, limit yourself to appropriate portions or half portions. Check out the guide to some classic Thanksgiving dishes to help keep you on track. One of the hardest things about the Thanksgiving meal is to stop when you are full, but it will help limit those extra calories. If you start longing for another serving while your belly is full, remember that you can have a second portion the next day. Cut off the brown ends of the Brussels sprouts and pull off any yellow outer leaves. Mix them in a bowl with the olive oil, salt and pepper. Pour them on a sheet pan and roast for 35 to 40 minutes, until crisp on the outside and tender on the inside. Shake the pan from time to time to brown the sprouts evenly. Time Warner Cable News: Could Your Child Benefit by Taking a Vitamin or Supplement? LiveSmart: Savor the Flavors of Fall! LiveSmart: Meet Your 2018 Fitness Goal – Fuel Your Workouts! LiveSmart: Eating Well with Diabetes – Think Fresh!